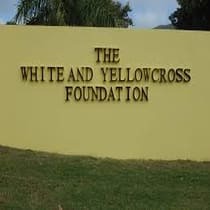 During the hurricanes Irma and Maria a lot of staff of the White Yellow Cross Care Foundation suffered damages. The staff of the WYCCF is providing care to the elderly, people with special needs or intensive care question on Sint Maarten with the different departments like District Nursing, the St. Maarten Home (elderly and nursing home), Sister Basilia Center, Rehabilitation department and Psycho Geriatrie daycare. Following the value of the WYCC they work to provide Trusted CARE. And that has really shown this last month. Before, during and after the hurricane a large number of staff worked hard to allow the care to the clients be continued to the best of their abilities and considering the situation. Several staff had to stay at the premises for several days and were not able to go home. Most staff were present as soon as possible after the hurricane and put in their best effort to keep everything going. It was remarkable to see what lengths people went through to care for our clients. To be able to keep going they need to be cared for as well. The staff and the work they do is the backbone of the care that WYCC can provide and indirect their well being affects the well being of the clients. So it is important that in a time like this attention and support is focused on the staff of the WYCCF Foundation. Because who can keep taking care of the clients if they are not well taken care of? Therefore it is needed to go into action to ‘help the helpers’. And therefore we need donations. As estimated and voiced by Bregje Boetekees, operational manager of the WYCCF, in the NRC Handelsblad (newspaper from the Netherlands) about 40 of the staff lost their roofs or houses and almost everyone suffered damages. Food has been distributed in the first weeks just like tarpaulins to staff to help them out in the acute situation. This was helpful for that moment but only effective for short term. For longer term different actions are needed. Like help and support for the people who need to get the tarpaulins on their roofs, need help with fixing things to secure their housing to make it liveable, assistance with finding alternative housing if this is not possible, get materials to be able to fix their house or car or invest in buying necessary items for a household what got lost. A few things to mention to make sure their basic needs are met again and their foundation is secured to be able to have less concerns and being able to provide the needed trusted care to our clients. Like the pyramid of needs of Maslow also shows the basic needs, like a safe house, needs to be met to be able to benefit from other rewards like social contact or to be able to provide this what is so needed for our care.